It sounds like something out of a horror movie. You can’t see it, or smell it, or taste it, or touch it. It’s the silent killer, carbon monoxide (CO). 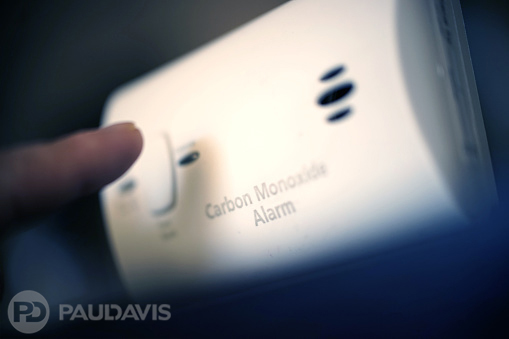 Many Canadians die every year from carbon monoxide poisoning in their own homes, most of them while sleeping. And unlike what you may have heard, CO poisoning is not always linked to fires. In fact, 88% of all homes in Canada have something that poses a carbon monoxide threat. Today, carbon monoxide poisoning is a more mainstream topic than it was in the past, with carbon monoxide detectors being easily found and purchased for the home. Using these devices, carbo0713n monoxide can be detected well before it causes harm, and lives can be saved. Just like you utilize smoke detectors in the event of a fire, carbon monoxide detectors can make the difference for the people in your home. As with most things, increased knowledge and experience with carbon monoxide poisoning has changed how we tackle this issue. There are laws and regulations regarding carbon monoxide that were not in place even a decade ago. As more and more people are impacted by this issue, more and more provinces and municipalities have joined in to dictate specific laws and regulations regarding carbon monoxide poisoning prevention. It is now customary for homes to come with smoke detectors as well as carbon monoxide detectors. A 2014 regulation requires CO detectors near sleeping areas in dwellings with an attached storage garage or fuel-burning appliances. This highlights the overall importance of detection, especially when a risk exists whether or not it is linked to a fire. If you have an older home or simply don’t have any detectors in your home, there are key symptoms of carbon monoxide poisoning you need to keep an eye out for. These symptoms can appear in less than 20 minutes if carbon monoxide concentrations get too high. Wood burning/gas stoves, gas refrigerators, gasoline engines, and kerosene heaters are usually the cause of carbon monoxide in the home, proving that any home is susceptible to the threat of carbon monoxide poisoning. Make sure you have detectors not only near sleeping areas in your home, but also on each floor, should you have a multi-level house. In addition to detectors, you can take other measures to minimize your risk. Following these best practices, installing CO detectors, and remaining alert for carbon monoxide poisoning symptoms create a strong defence for minimizing your risk of injury or death. Take these steps today to ensure you have a safer home, with minimal risk of poisoning tomorrow.